The designer of this artistic costume is Natalya Tarasova. This amazing dress is the brightest in our collection of Ukrainian traditional clothing. The cotton blouse is decorated with traditional style braided tapes which perfectly imitate unique Ukrainian embroidery. The circle skirt of bright cornflower colour underlines the folk style of Ukraine and is in a perfect harmony with the blouse red-blue-yellow decoration. The broad red belt supports the traditional concept. 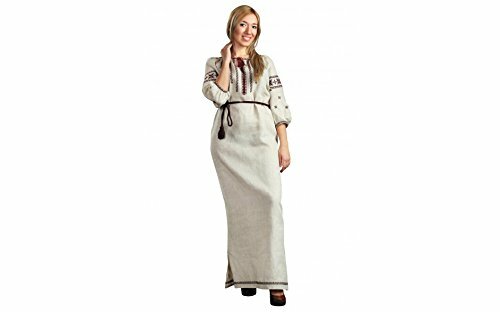 Today in Ukraine folk dress is on the rise and is used not only in stage performances but also as casual Ukrainian clothes, especially vyshyvanka. We design our Ukrainian costumes taking into consideration the choreography and stage requirements. 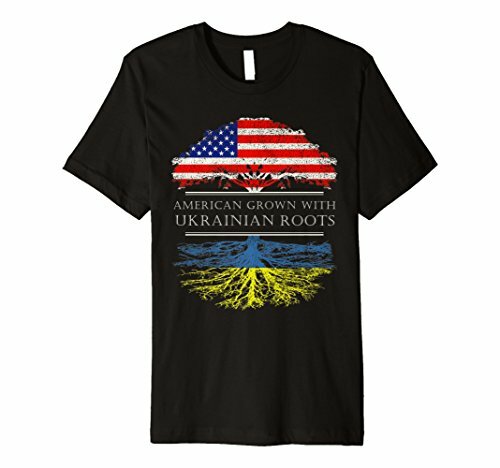 Any traditional dress from Ukraine can be customized to your needs. Design: below knee length dress Material: cotton, gabardine Attention: Embroidery pattern and color may differ from the shown on the picture Note: Headpiece is not included. The designer of this artistic costume is Natalya Tarasova. This amazing dress is the brightest in our collection of Ukrainian traditional clothing. The cotton blouse is decorated with traditional style braided tapes which perfectly imitate unique Ukrainian embroidery. 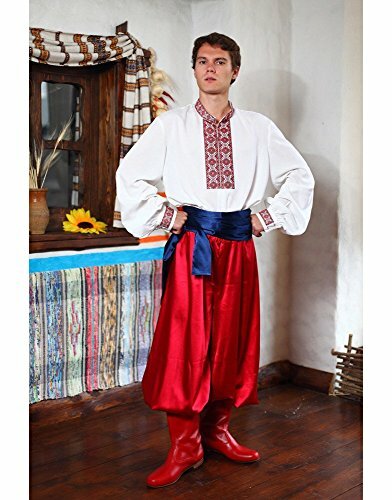 The circle skirt of bright cornflower colour underlines the folk style of Ukraine and is in a perfect harmony with the blouse red-blue-yellow decoration. The broad red belt supports the traditional concept. 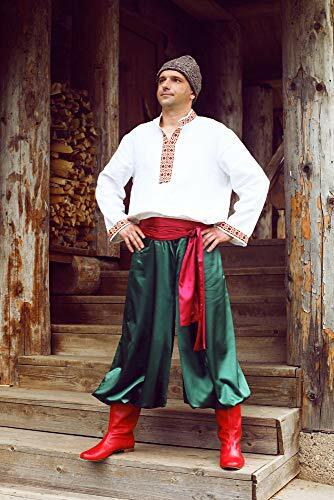 Today in Ukraine folk dress is on the rise and is used not only in stage performances but also as casual Ukrainian clothes, especially vyshyvanka. We design our Ukrainian costumes taking into consideration the choreography and stage requirements. Any traditional dress from Ukraine can be customized to your needs. • Design: below knee length dress • Material: cotton, gabardine • Attention: Embroidery pattern and color may differ from the shown on the picture • Note: Headpiece is not included. 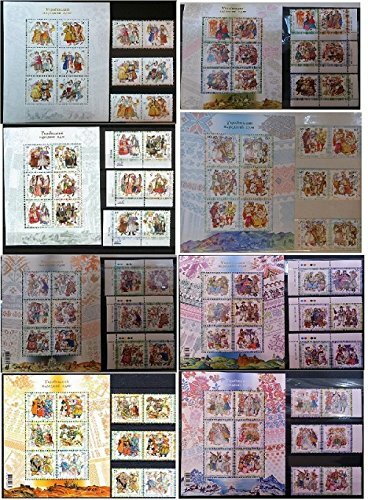 Ukrainian Traditional Folk Costumes 2001-2008 MNH 8 Full set of stamps and blocks. One set - 6 stamps and 1 block. Сomplete series "Ukrainian Folk Costumes"
The designer of this artistic costume is Natalya Tarasova. This amazing dress is the brightest in our collection of Ukrainian traditional clothing. The cotton blouse is decorated with traditional style braided tapes which perfectly imitate unique Ukrainian embroidery. The circle skirt of bright cornflower colour underlines the folk style of Ukraine and is in a perfect harmony with the blouse red-blue-yellow decoration. The broad red belt supports the traditional concept. 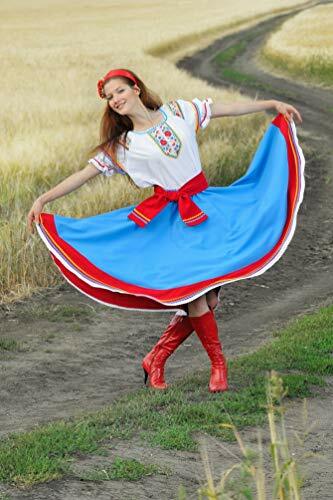 Today in Ukraine folk dress is on the rise and is used not only in stage performances but also as casual Ukrainian clothes, especially vyshyvanka. We design our Ukrainian costumes taking into consideration the choreography and stage requirements. Any traditional dress from Ukraine can be customized to your needs. Design: mini skirt Material: cotton, gabardine Attention: Embroidery pattern and color may differ from the shown on the picture Note: Headpiece is not included. UKRAINIAN TRADITIONAL COSTUME KARPATIAN REGION . ANTIQUE UKRAINIAN TRADITIONAL COSTUME KARPATIAN (VERHOVYNA) REGION .